For Capetonians, one of the major concerns surrounding “Day Zero” – which despite all efforts may arrive in the coming months – is how to “go”. If you can no longer flush your toilet, what are the alternatives? For private households and businesses alike, this poses a serious challenge. In this context, there has been a spike in people’s interest in chemical toilets. Are portable chemical toilets a solution? Do portable, chemical toilets offer a possible solution to the problem? Also called portable restrooms, porta-loos or porta-potties, portable toilets can indeed help save water. This is because they’re not flushed with water after each use. Instead, waste is treated using chemicals. According to the International Portable Sanitation Association (yes, one exists! ), portable toilets worldwide save as much as 125 million gallons – or 473 million litres – of fresh water every day. As a local example, Managing Director of a company that supplies portable toilets, Robert Erasmus, notes that a Cape Town company is currently saving “an estimated 10 000 litres of water per day by having ten portable toilets on site serving about 150 employees”. However, portable toilets aren’t water-free toilet systems. Once full, they must be emptied out and flushed with water before reuse. Chemical toilets are self-contained, portable toilet units that use chemicals to partially break down human waste and neutralise odours. 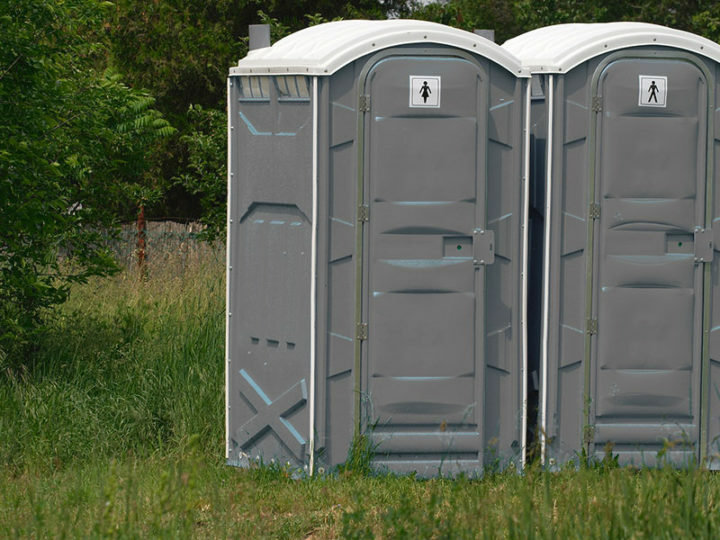 The first portable toilets were developed by the owners of a New Jersey shipyard in the 1940s, to help reduce the time employees spent away from their work to answer “nature’s call”. Early portable toilets were constructed of wood or metal. Today, portable loos are typically made of lightweight moulded plastic, making them much easier to move around. No plumbing is required – they can be placed on any flat surface. Early chemical toilets used formaldehyde to neutralise waste. This was effective but potentially hazardous, and harmful to the environment. Modern chemical toilets typically use nitrate-based chemicals, which are safer. The chemicals are diluted in water and added to a containment tank situated directly below an open toilet seat. Often, blue colouring is added for aesthetic reasons. The waste collects in the tank. Once full, the tank must be emptied. In the case of commercially supplied chemical toilets, the waste is transferred to a mobile tanker, via a connecting hose and suction system, at least once a week. Units are then cleaned, sanitized and “refuelled” with chemicals. Then they’re good to go for approximately another week of flush-free use. 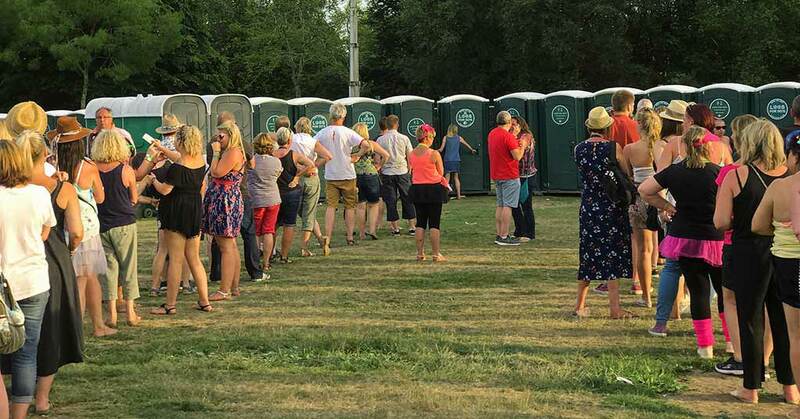 For decades, portable, chemical toilets have been a popular solution at events, on construction sites and anywhere else where “instant” toilets are required. They’re readily available, easy to set up, don’t require connection to any plumbing and provide a hygienic option for handling waste. Depending on toilet type, an average flush uses between 6 litres and 13.6 litres of water. A chemical toilet doesn’t flush valuable water away with each use, making it a practical and comparatively water-wise alternative, worth considering during Cape Town’s water crisis. However, units have to be properly cleaned out at regular intervals, and this takes water. Big Box Containers has partnered with Coastal Toilet Hire to make life simpler and easier for customers. At the same time as renting any of our container products – from event spaces to site offices, computer centres or storage units – you can rent portable chemical toilets. We’ll invoice you, process payment and arrange for Coastal Toilet Hire to deliver and collect your toilet(s). 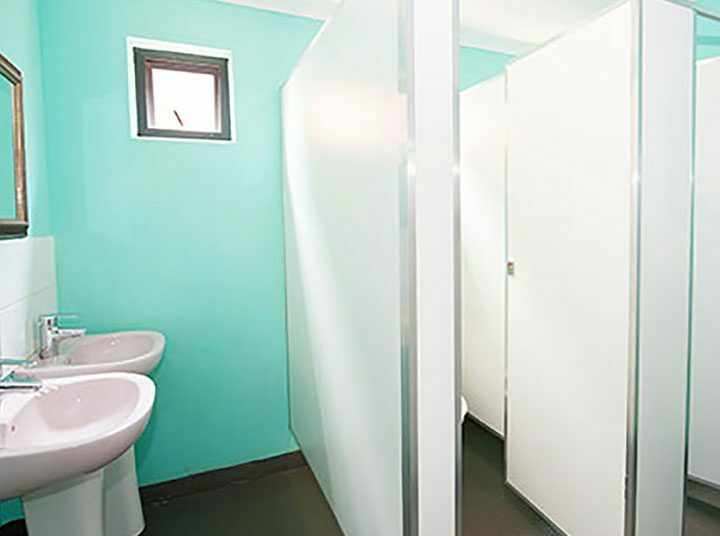 You’ll pay the same price on each unit as you would if you rented it directly from Coastal Toilet Hire, but now have the option of one-stop shopping. For more information or a quote for toilet hire or container rental, contact us at Big Box Containers and we’ll be happy to help.